Chef Jimmy McDermott is spreading excitement about healthy eating, one dozen students at a time. Jimmy is a leader with the Cook it. Try it. Like it! 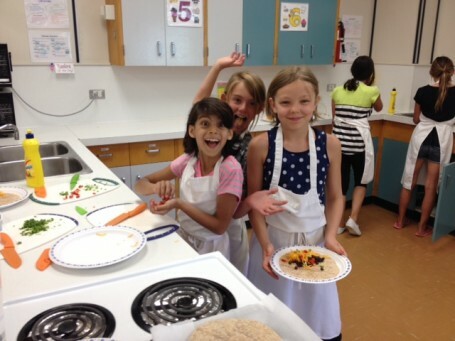 program, an afterschool program offered in the Interior Health region that promotes healthy eating habits to students through experiential learning. 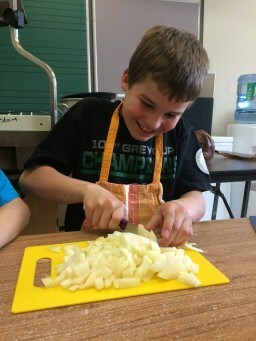 He leads five weekly sessions with students in grades 4-6, teaching them about food skills, kitchen and food safety, nutrition, balanced eating, and sustainable food systems. It’s about building families and bringing them closer together. It makes a difference when kids are spending even just 20 minutes preparing dinner with their families. Cook it. Try it. Like it! began in Kamloops in 2011 with support from Interior Health and in partnership with the City of Kamloops and School District 73. It has since been adopted by several other school boards within the Interior Health region. The program is supported by the Community Food Action Initiative as well as other funders inspired by a shared goal of integrating food skills learning in schools. The kids are so pumped about what they learn. They go home and say, did you know we put spinach in our drinks and corn on our pizza! To me, it ripples beyond the 12 students in the class to the volunteers who are helping, the families including younger siblings in the home, and other students in the class saying, I want to be in that program! Rose and Jimmy share a vision for the continued expansion of the program to every school district in the region. A strength of the program is its adaptability as there is potential to go from offering the optional, afterschool program to integrating the material as part of the curriculum. Jimmy is excited that some teachers have already incorporated Cook it. Try it. Like it! lessons into their classroom, with the support of the Cook it. Like it. Try it! Guide for Program Leaders. This free resource is an accessible, informative guide on how to successfully implement the program. 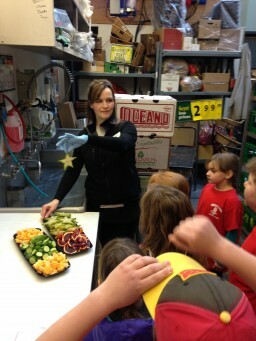 This entry was posted in Food Skills, School Food and tagged food skills, school food. Bookmark the permalink.